Google and Verizon have joined forces to present their vision of an "open internet", intended as a framework for future regulation of US net services. Both champion the idea of an open net for fixed line services but suggest loopholes for mobile traffic and for some specialised content. 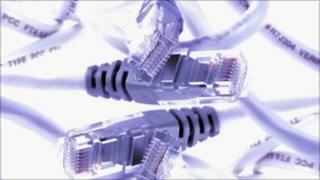 This could allow net providers to give priority to certain online traffic. Supporters of net neutrality, where all web data is treated equally, fear the plan will spawn a two-tier service. "It would give companies like Verizon, Comcast and AT&T the right to decide which content will move fast and which should be slowed down," said Joel Kelsey of public policy group Free Press. The set of seven proposals guarantee equal access to the internet and call for the prohibition of wired broadband providers from discriminating between different kinds of internet traffic to ensure that no-one can pay to have their traffic treated more favourably. The two firms also propose enforceable transparency rules and the power for the Federal Communications Commission (FCC) to impose "a penalty of $2m [£1.25m] on bad actors" on those who commit net neutrality transgressions. When it comes to wireless services, search giant Google and telecom titan Verizon said the same rules would not be applied. "We both recognise that wireless broadband is different from the traditional wireline world, in part because the mobile marketplace is more competitive and changing rapidly," the companies said. "This is a real step forward," Google chief executive Eric Schmidt told reporters during a conference call. "Google cares a lot about the open internet. It has made it possible for its two founders to turn a powerful idea into this phenomenal business." Last week the Federal Communications Commission called time on closed-door meetings it had been holding with firms such as Verizon, Google, AT&T and Skype. Edward Lazarus, FCC chief of staff, said at the time the talks had not "generated a robust framework for preserve the openness and freedom of the internet". The issue of net neutrality has become a hotly debated topic in Washington and Silicon Valley. A recent court case limited the agency's powers to police what happens to data when it ruled the FCC did not have the power to sanction the internet service provider Comcast for slowing down some traffic. As a result, the Commission said it would reclassify broadband under a more heavily regulated part of the telecommunications law known as Title II. Cable and phone companies claimed the move would stifle investment in next-generation broadband. In a bid to avoid all-out legal action, the FCC held negotiations to come to a consensus on how to treat internet traffic. Google and Verizon have said their suggestions are aimed at moving the industry forward. Reaction among supporters of net neutrality has not been positive. "The agreement is nothing more than a private agreement between two corporate behemoths, and should not be a template or basis for either Congressional or FCC action," said Gigi Sohn, president and co-founder of the advocacy group Public Knowledge. A similar view is echoed by Mr Kelsey. "If codified, this arrangement will lead to toll booths on the information superhighway," he said Joel Kelsey. "It will lead to outright blocking of applications and content on increasingly popular wireless platforms." Adam Green, co-founder of the Progressive Change Campaign Committee, has urged the FCC to ignore these proposals because they "would kill the internet as we know it". "Google, a company that I've long admired and currently hold thousands of dollars of stock in, just 'went evil.'" Mr Green wants the public to sign up to an open letter to the search giant to "protect net neutrality and the internet's level playing field". The site said that so far 300,000 Americans have signed. Readers of the BBC News website and followers of @BBC_HaveYourSay on Twitter have been sending us their thoughts on this story. Here is a selection of their comments.